The news, this Remembrance week, that all the war memorials designed by Sir Edwin Lutyens, including the Cenotaph in Whitehall, are now officially protected by listing, is of more than passing interest to civil servants. One of the 44 monuments is the little-known memorial to the 1,240 members of the Prince Of Wales Own Civil Service Rifles who fell in the First World War. On advice from Historic England, DCMS has upgraded the memorial’s protective listing to Grade II*. This means it is considered particularly important, of more than special interest, and qualifies for greater protection. Only 5.5% of listed buildings are Grade II*. The story behind the memorial - and the Civil Service Rifles - is a fascinating one. The memorial, at Somerset House, on the Strand, is mainly of Portland Stone and unique in its form - an urn sitting on top of a column that contains a scroll with the names of the dead. The monument originally stood in the centre of Somerset House’s courtyard, which was the regiment’s parade and drill ground - appropriately enough, as the house had originally been built for the Civil Service. The memorial was unveiled by the then Prince of Wales, the regiment’s Honorary Colonel, in January 1924. It was moved to the Riverside Terrace in 2002. It may come as a surprise to some of us that there was a unit in the British Army for civil servants. The Civil Service Rifles was in fact one of 26 battalions recruited by the London Regiment before the Great War. While some were based on a locality, others, such as the Civil Service Rifles - the 15th Battalion London Regiment - were recruited from specific professions living and working in London. The 15th took part in the Battle of Loos in 1915, and in 1916 fought at Vimy Ridge and on the Somme. In Flanders, it saw action at Passchendaele. In December 1916, the battalion was reassigned to the Macedonian theatre, around Salonika, before returning to France for the final offensive of 1917, the Battle of Cambrai, where it suffered heavy casualties. It was again in action on the Somme in 1918, and its final engagement of the war was at Tournai in Belgium in November 1918. Men of the Civil Service Rifles in the First World War included the sculptor Henry Moore, who volunteered aged 18, and was reportedly gassed during the Battle of Cambrai. One of the battalion’s fatal casualties was Private Will Fraser. His poignant story, previously mentioned by Sir Nicholas Macpherson, typifies the experience of so many of his contemporaries. He grew up only a stone’s throw from Whitehall, where many of you will be reading this. He passed the Civil Service exam and worked at the Local Government Board, reaching the grade of Clerk (2nd division) in 1912. Enlisting in 1914, Will joined the Civil Service Rifles. He was shipped to France at the beginning of June 1916, serving for six months on the Western Front, before transferring with the Rifles battalion to Salonika, in northern Greece, in the December. On his arrival, he sent a Christmas card to his brother, saying he was “in the land of the Epistles after a good journey,” and “glad to say I am alright up to present”. The sad truth, though, was that the battalion was badly equipped for the conditions it found itself in. Their tents and shelters offered little protection against the bitter cold; sanitation was poor and access to clean water limited. Inevitably, there were outbreaks of impetigo, dysentery, jaundice and nephritis. Will himself contracted pneumonia, and died in the field hospital in February 1917. He was single and had no children. At this, of all times, it is worth remembering the sacrifice of the civil servants - and those from every other walk of life - who have served in our armed forces over the last century. 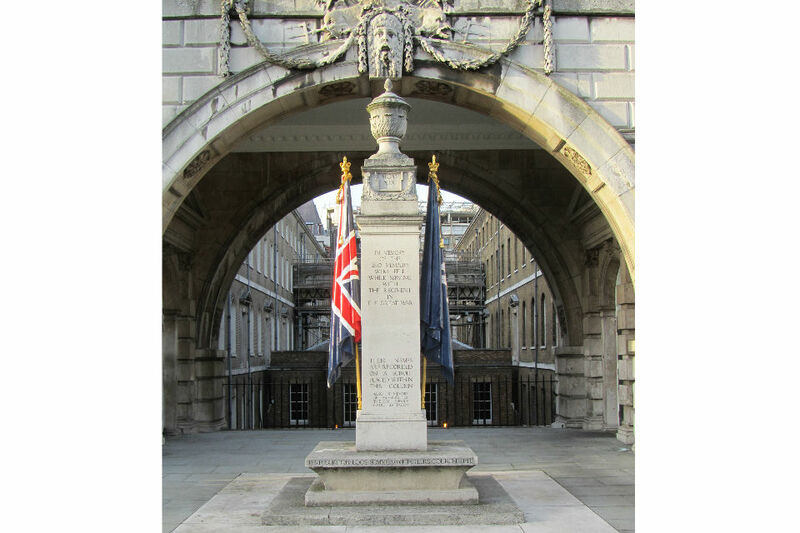 You may like to visit Somerset House, to see the newly protected Civil Service Rifles memorial for yourself and pay your respects. If anyone wants to find out more, the book 'The Civil Service Rifles in the Great War' by Jill Knight is worth getting hold of. I can also recommend Jill Knight's book too, available from Pen & Sword Books. If I might just correct some of the article content a little. 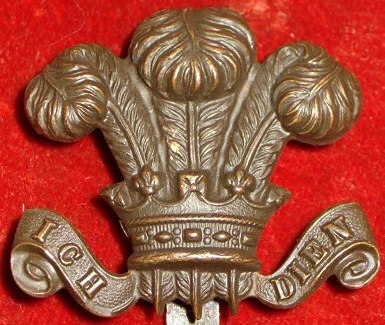 1st Battalion were the existing pre-war Volunteers who used to drill weekly at Somerset House. They were on the start of Summer Camp when the war was declared, and this Battalion went to France in 1915 and served on the Western Front throughout the war. 2nd Battalion was raised afterwards, with some enlisted men having to seek permission for release from civil service duties as they were considered vital protected posts for the nation. This Battalion went to France initially, but then ended up shipped to Salonika and then onto the Middle East for the Palestine campaign. 3rd Battalion was run as the Depot Battalion to then train and send on later recruits to either of the two other Field Battalions. All in all, over 8,500 men enlisted into the Regiment throughout the length of the war, some moving on to serve in other regiments in the Army, such was the calibre and good training of the Civil Service men, with 1,240 fallen souls from that number too. Simon, please excuse my improper use of the word 'correct', I should have perhaps said 'enhance' instead. A little too much haste on my part. This should provide you the return of 1,250+ names of those who were listed killed or missing. Thank you Simon for taking the time to put up this article, it is much appreciated. Thanks for remembering my Great Great Uncle Will Fraser again in this blog. He is among those commemorated on the Local Government Board memorial in the entrance to 100 Parliament Street (the HMRC/DCMS building). I knew nothing of this until I discovered this connection as part of the WWI centenary last year. James, thanks for getting in touch and lending a longer perspective to the history of the Civil Service Rifles. The snippet about W. S. Gilbert is tantalising - I wonder what lost gems of Gilbertian wordsmithery may have featured in the concert party programmes! Interesting also to know that your Great Great Uncle has a descendant in the Civil Service still. "GOD BLESS THE PRINCE OF WALES"
Resound from shore to shore! I am about to visit the Somme battlefields to see as much as possible of the sites where my father fought. My father joined the Prince of Wales' Own Rifles with friends and colleagues from the Port of London Authority (I have a group photo which must have been taken shortly after they enlisted). He was severely injured at the Somme (I can remember seeing a bullet wound in his thigh as a child) but lived to the age of 85, having 2 children in his late 50s. The Jill Knight book is both informative and relatively easy to read: I also bought the History of the Civil Service Rifles published by the N & M press, hard going, but it listed all the names of those who served in WW1 in one of the appendices. The Civil Service had a very good football team pre war, by all accounts most, if not all, served in the rifles. Does anyone know if any of them died in the war?